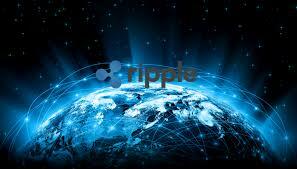 Faith and belief in the available Ripple (XRP) software solutions for international money transfers and remittances has yielded recent news of several financial institutions partnering with the project in one way or another. Ethereum World News recently reported UK-Based brokerage firm and international payment provider, Currencies Direct, had successfully completed testing of the xRapid money transfer settlement services. At the same time, the Kuwait Finance House recently became the first country in the Arab nation to join the RippleNet network. The same RippleNet network now welcomes two new members to the list of budding financial institutions already part of the network. The two international firms that have shown their faith in Ripple are the Singapore-based InstaReM and Brazil-based BeeTech. These two financial entities are unique in that they only offer remittance services and that they have joined RippleNet that has banks as its core members. The two firms went ahead to use the service this week allowing them access to a number of international markets such as the United States, Southeast Asia, South America and Europe. The firms have been noted to use Ripple’s API based solution of xVia that bridges the gap between the already existing software in financial institutions, to the RippleNet network. This partnership on RippleNet provides our customers a one-stop shop experience, including the ability to send payments and access new suppliers across more than 60 markets through xVia – a simple API connection. This need for a one stop solution for remittance services is also the reason that the Santander Bank is using Ripple products for 50% of its International transfers. It seems that Ripple has proven itself as the leading payment solutions provider on the blockchain. The momentum for Ripple and XRP is indeed increasing as we cruise towards the second half of 2018. One thing that is on everyone’s minds, is the $10 XRP price prediction by SBI Holdings CEO and President, Yashitaka Kitao who has been bullish about XRP ever since the two organizations partnered over tow years ago. Perhaps this value is a reality once the same firm launches the SBI Virtual Currencies exchange later on this year.